If you live in the greater San Diego area and you suffered a debilitating injury on the job, you deserve to have the best legal representation on your side to help you secure the benefits you deserve. 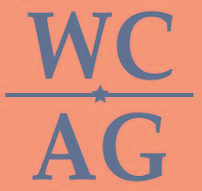 Backed by more than 100 years of combined legal experience, the attorneys at the Workers Compensation Attorney Group have recovered more than $1 billion in total compensation for injured and disabled workers as well as those who have serious personal injury and wrongful death claims arising from someone else's negligence or wrongdoing. Our law office at 2655 Camino Del Rio North is one of three locations we have in the greater San Diego metro region, providing testament to the level of success we have achieved that has made our law firm one of the top in the region for workers' compensation, Social Security Disability and personal injury claims. We understand that, oftentimes, people are unsure how to proceed when an injury has left them unable to work, which only adds to the stress they experience during what is already a very difficult and uncertain time for them. In light of this, we promise to work directly with you to address your questions and concerns while using our extensive knowledge and resources to help you file your initial claim or appeal any denied claims. Time is of the essence, however, in securing compensation for your injuries, which is why you should contact the Workers Compensation Attorney Group and take advantage of our law firm's free initial consultation as soon as possible after your accident. Working together, we can help ensure you receive the proper medical treatment you need as we aggressively pursue the maximum amount of benefits on your behalf.